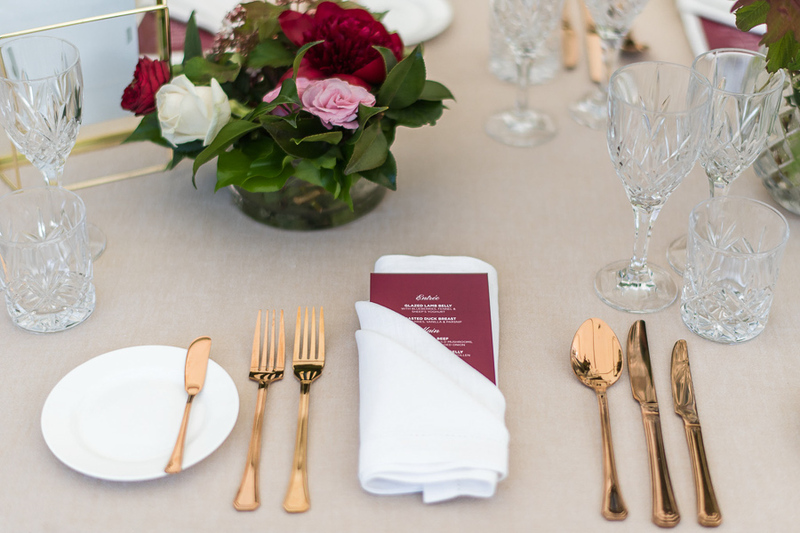 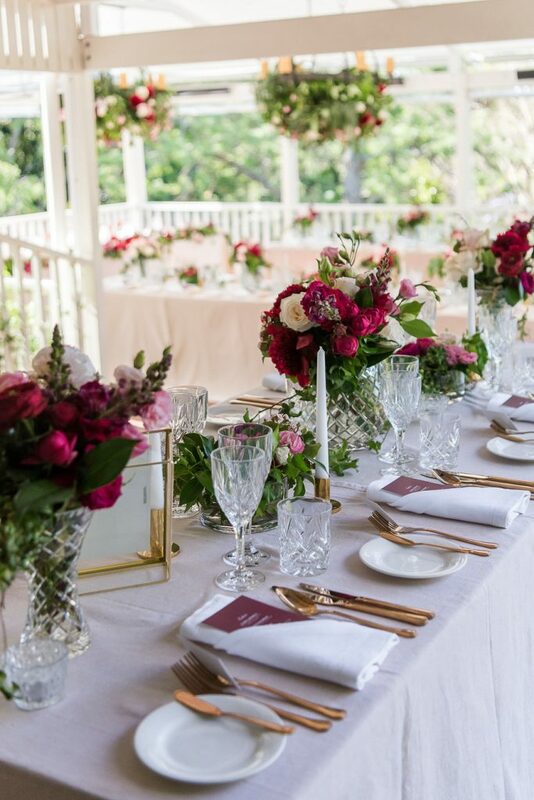 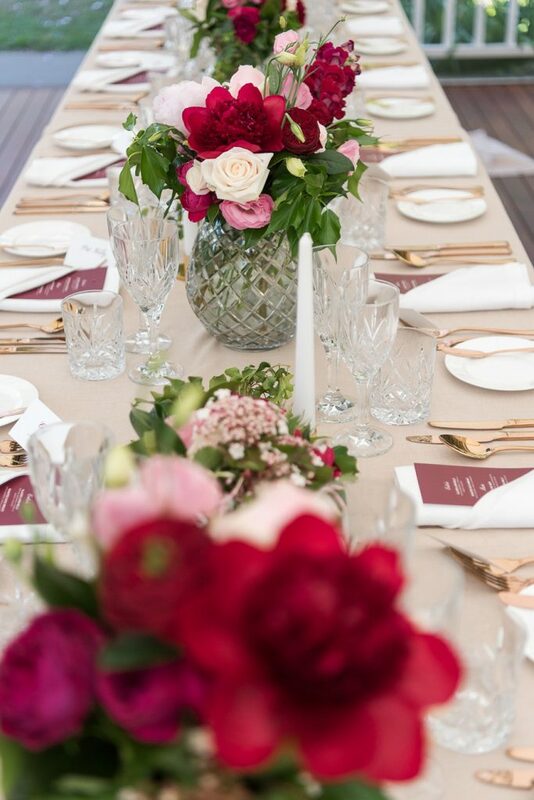 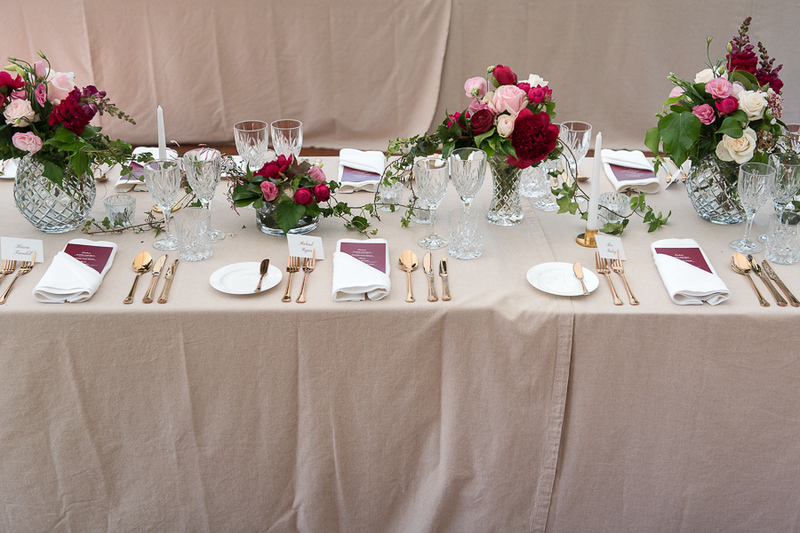 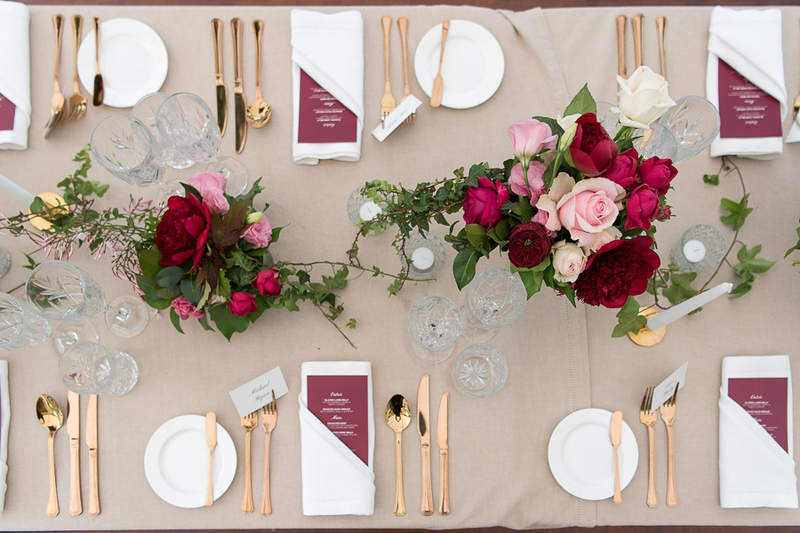 Burgundy and marsala would have to be one of the most popular accent colours for wedding florals at the moment! 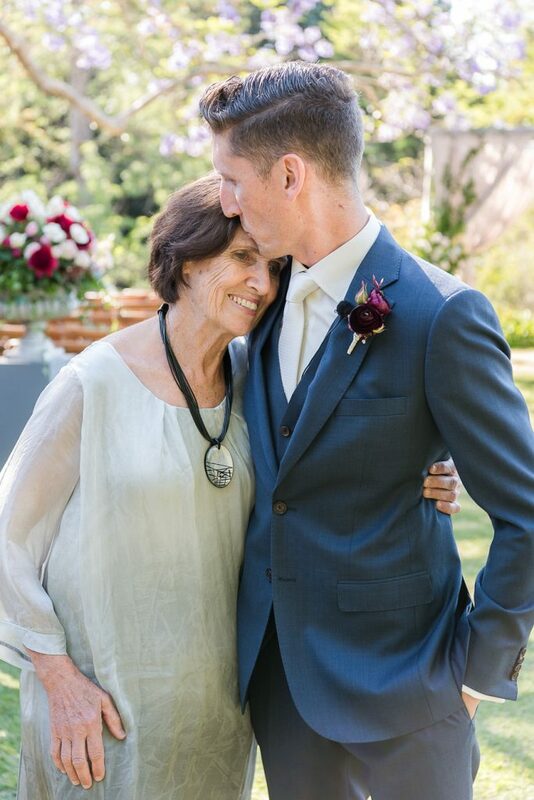 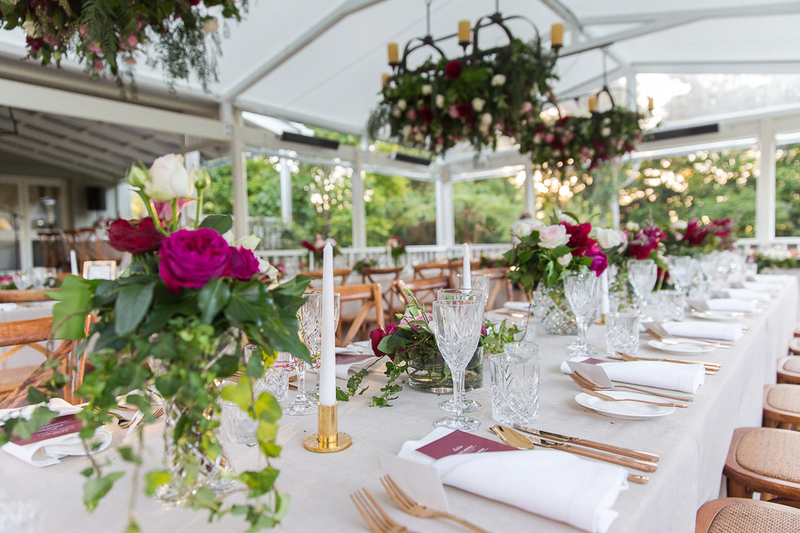 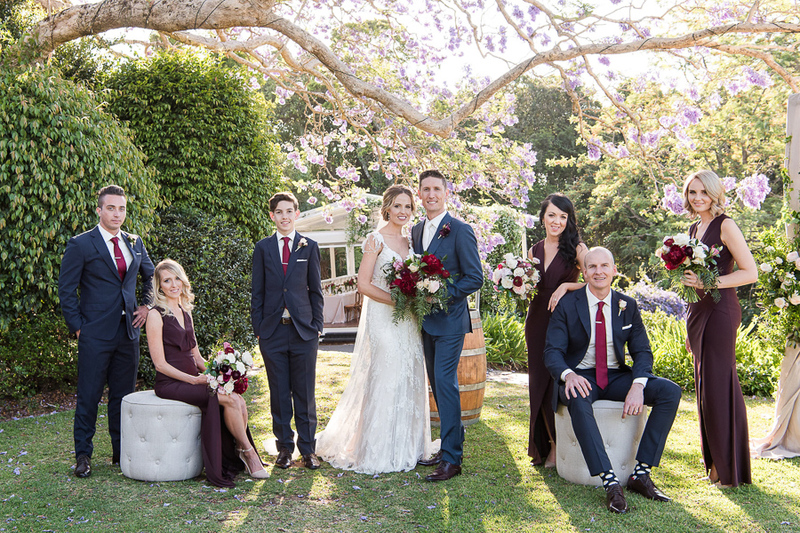 And we were very excited to highlight plenty of beautiful burgundy wedding flowers on show at Spicers Clovelly Estate for the sophisticated and uber stylish wedding of Kylee and James. 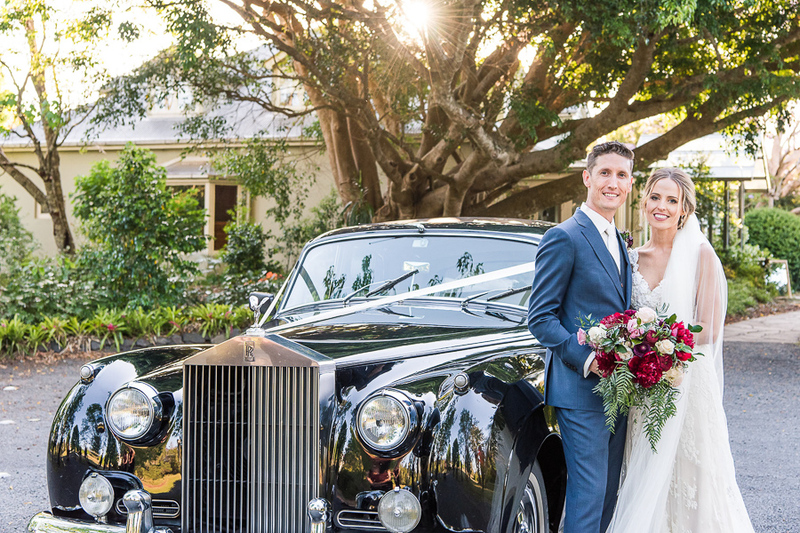 What a glamorous event this was, and what a delight these two were! 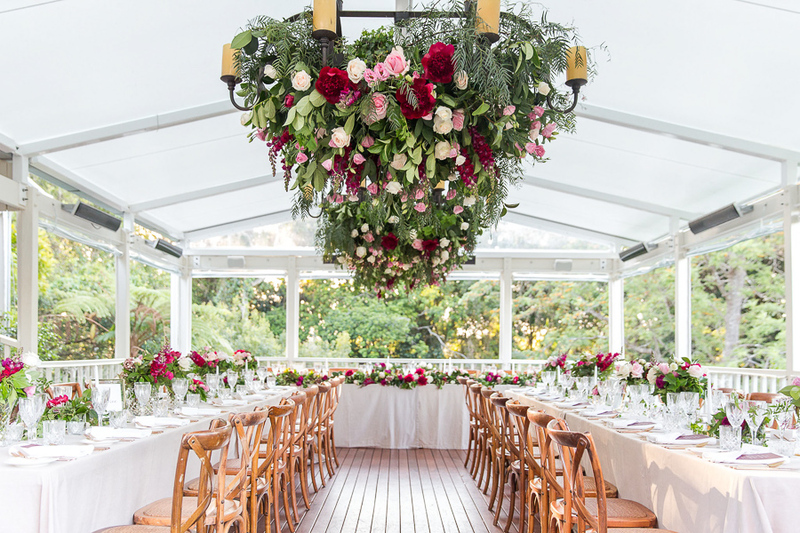 The glamorously appointed French inspired property, provided the perfect amount of European elegance to create this stunning wedding concept. 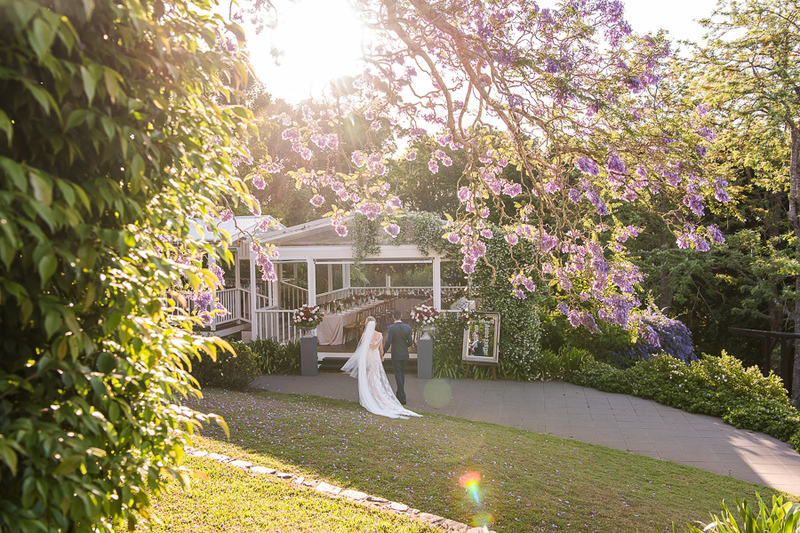 The grassy plateau wonderfully positioned for the start of this love story, and the interior finishes of the main house and beautiful library pavilion a fabulous space to showcase such elegant style. 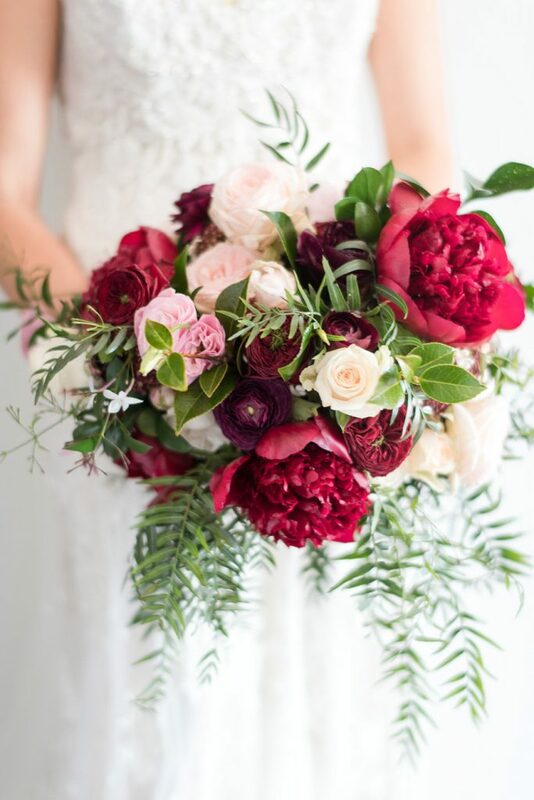 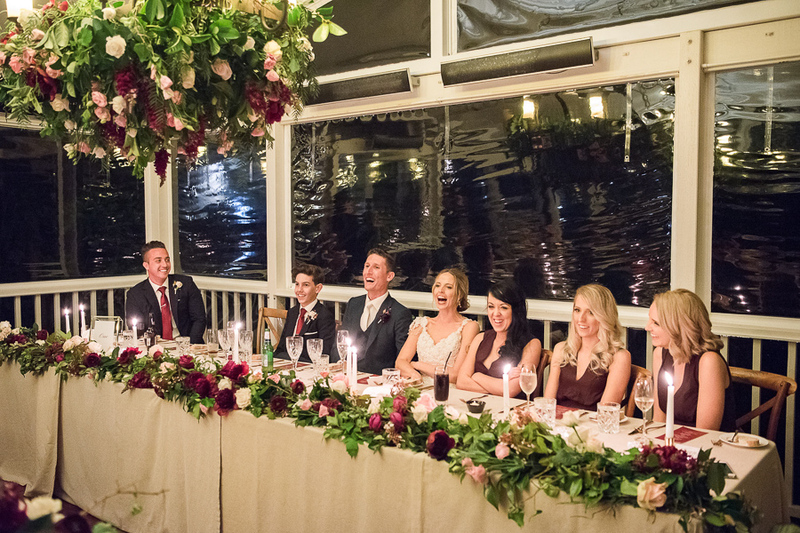 As you can see from the incredible images captured by Marcus Bell at Studio Impressions flowers were a focus for our beautiful Kylee, and her dream flower peonies were part of the burgundy bloom line-up. 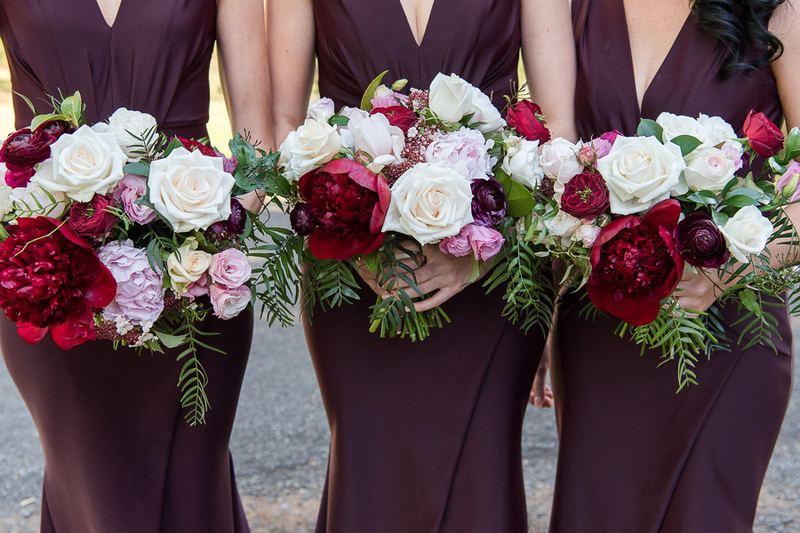 How luscious are they/ Just divine, and in combination with David Austin roses, ranunculus, cottage roses and classic roses the beautiful combination of burgundy, marsala, pale pink and ivory collaborated exquisitely to create the sophisticated floral designs. 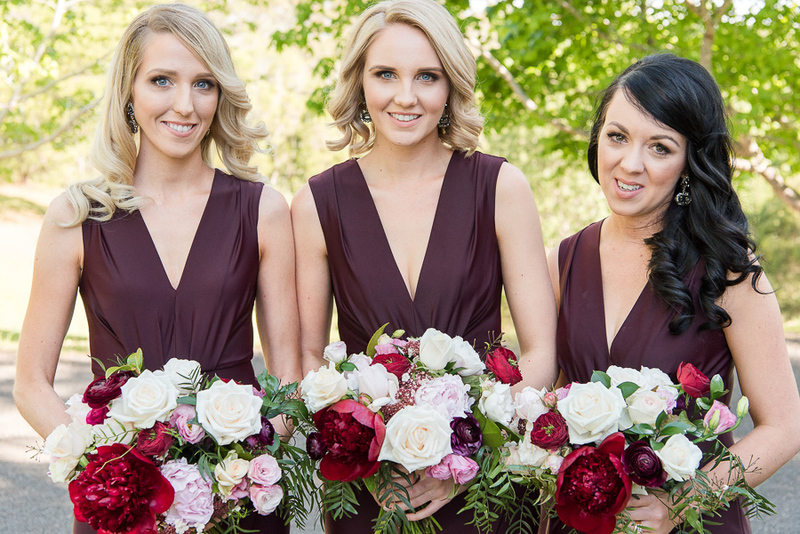 The bouquets were gathered gardenesque designs and the marsala bridesmaids dresses were perfectly toned to suit. 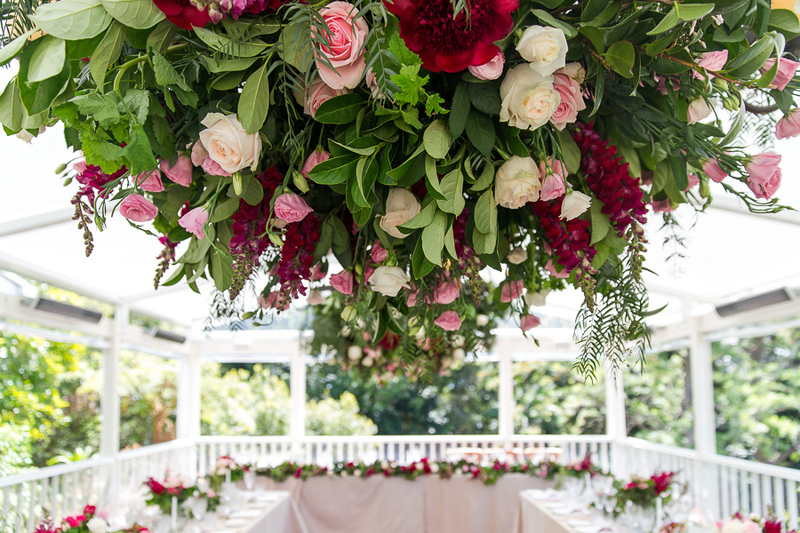 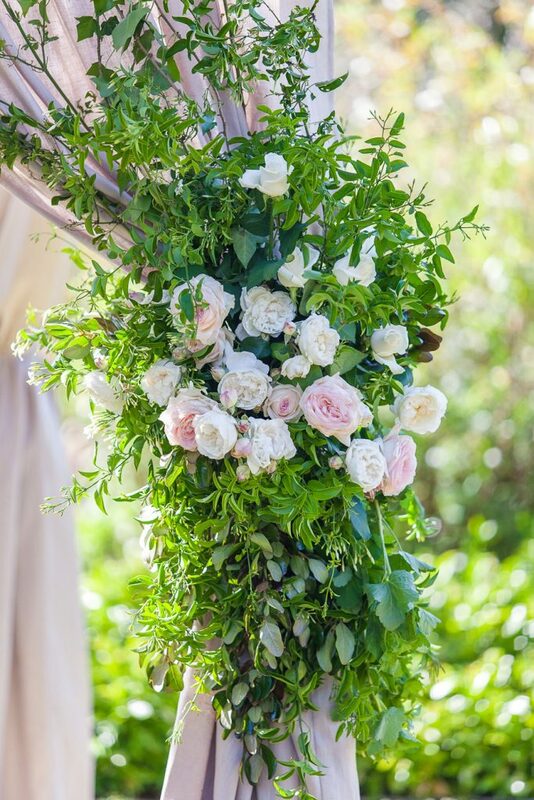 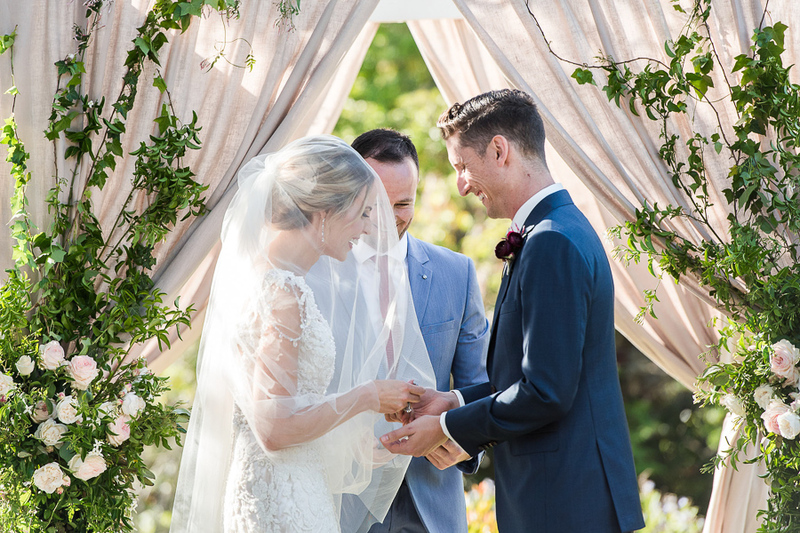 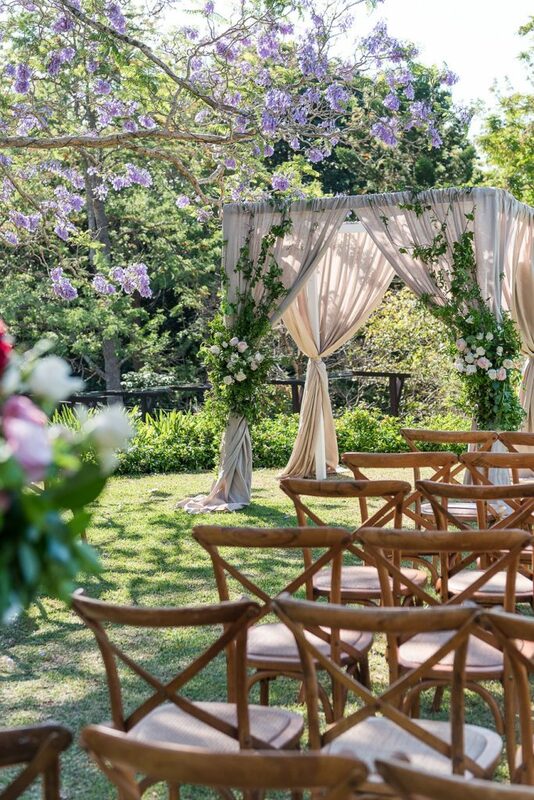 Ceremony featured a romantic canopy draped in luxurious fabric and we created garlands of foliage and blooms that delicately added to the glamorous garden party style. 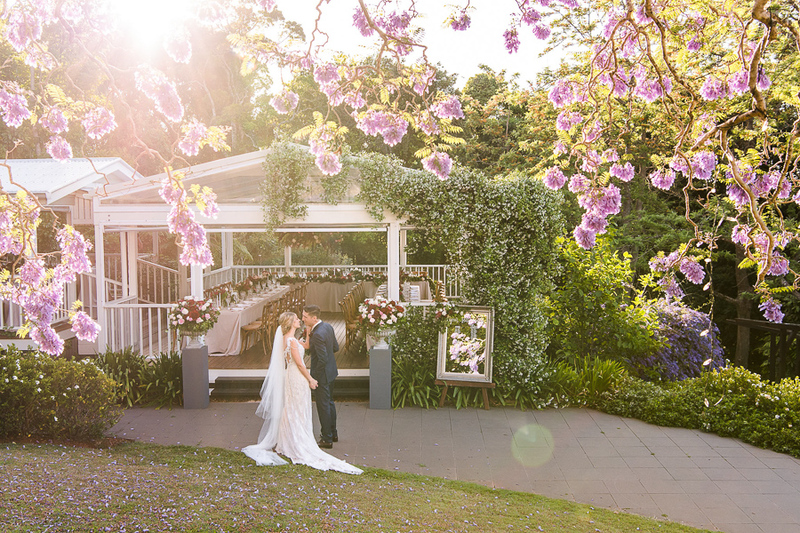 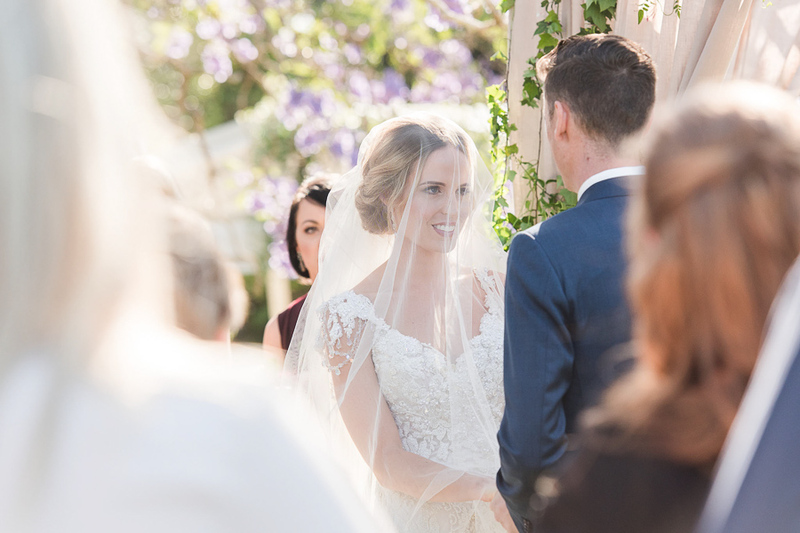 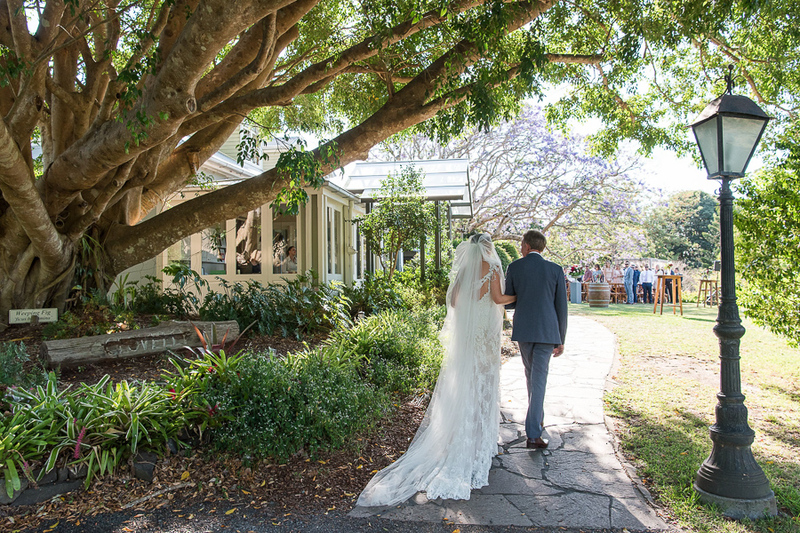 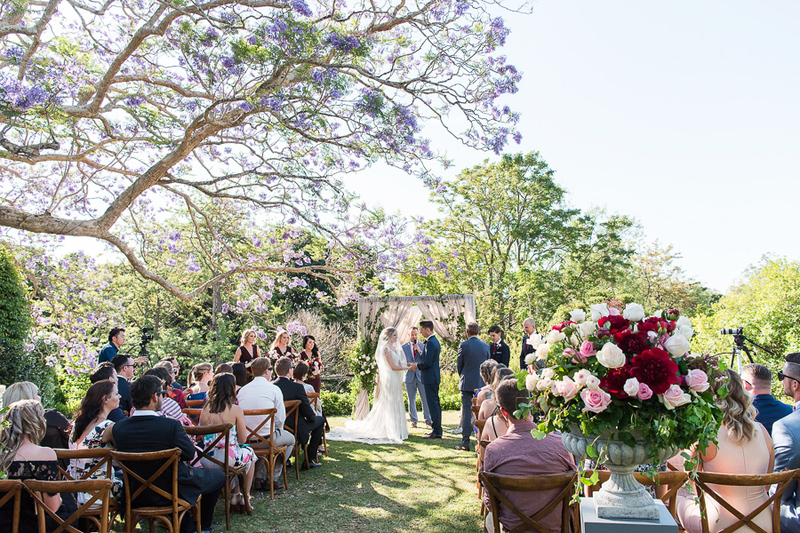 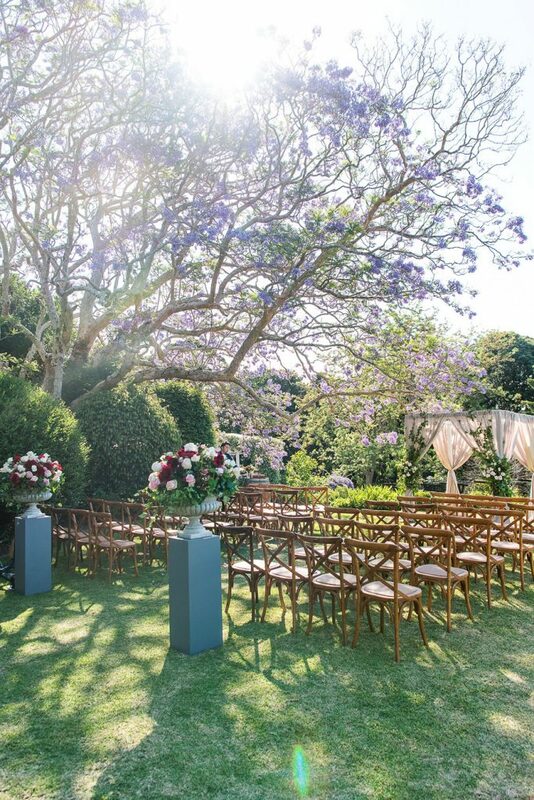 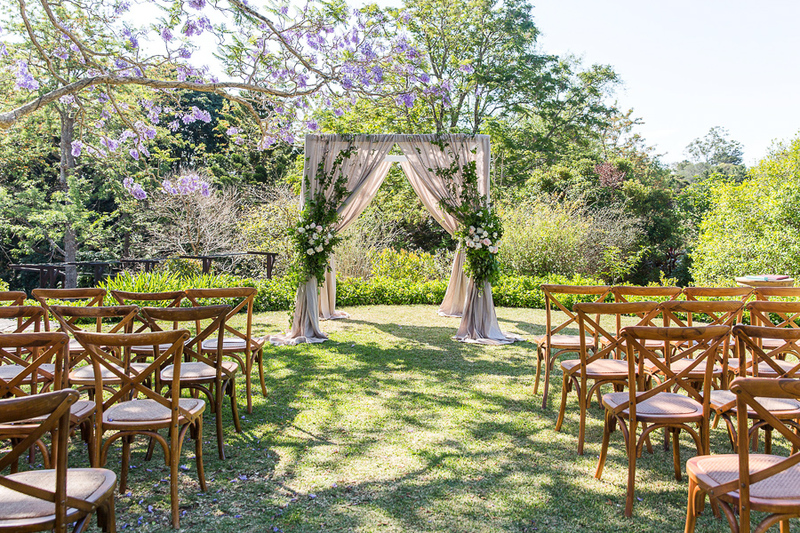 The divine Jacaranda Tree was in full bloom on this spectacular day and added that little bit more glamour to the romance of the ceremony style. 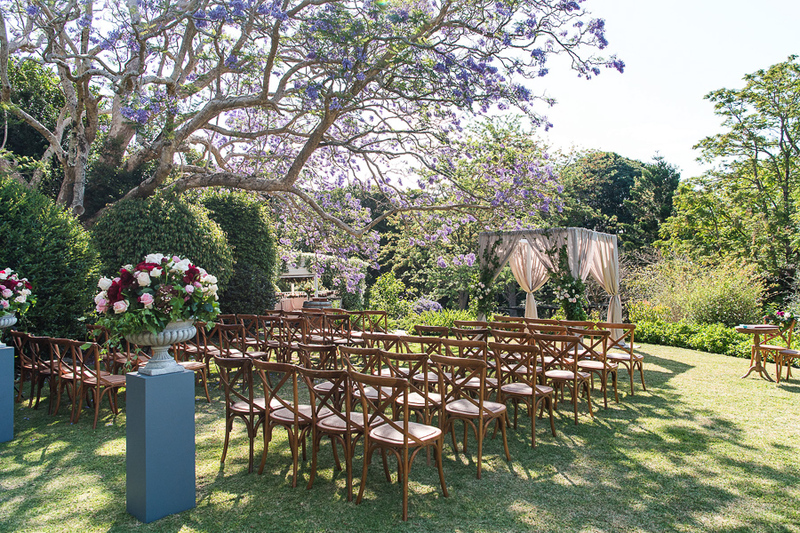 Our entrance pedestals added that ‘French Country’ sophistication to the garden space with our weathered dove grey antique pots filled with beautiful blooms. 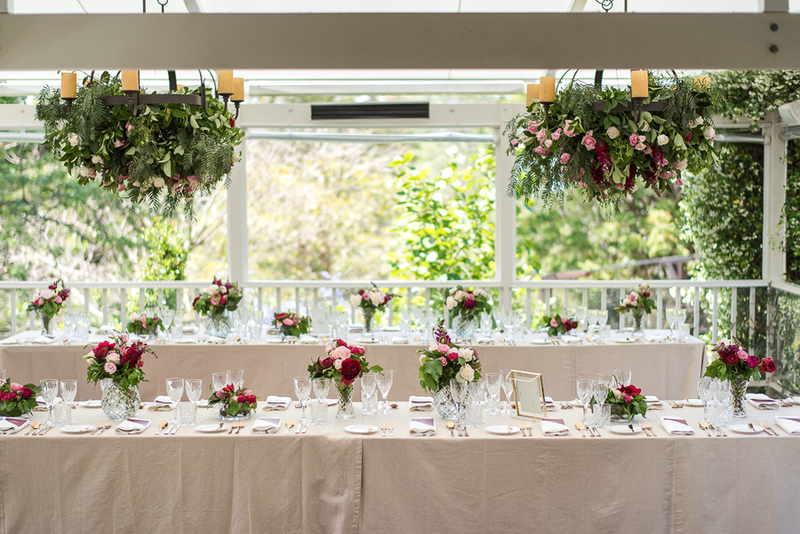 We were able to transfer these to the entrance of the library deck to be re-used and add to the dining space style, and they created a little bit more floral wow! 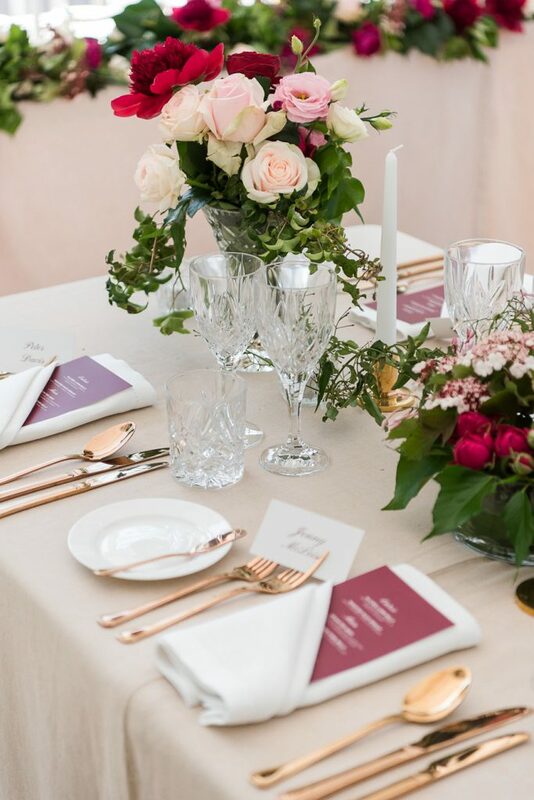 The reception was a beautifully styled dining space, with crystal vases, gold cutlery and candle holders, and beautifully created stationery, the extra details make such a difference. 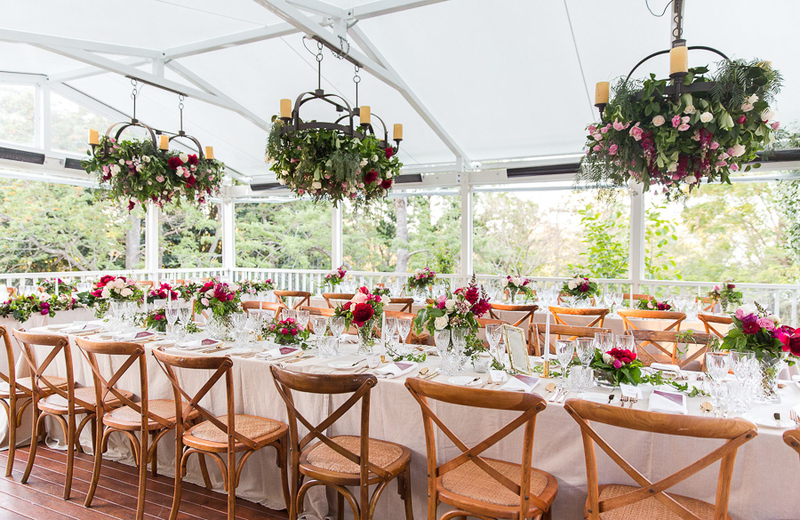 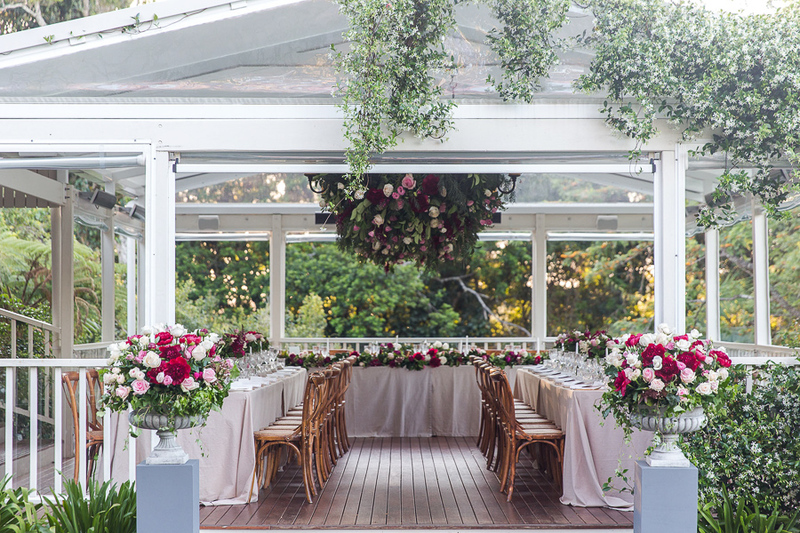 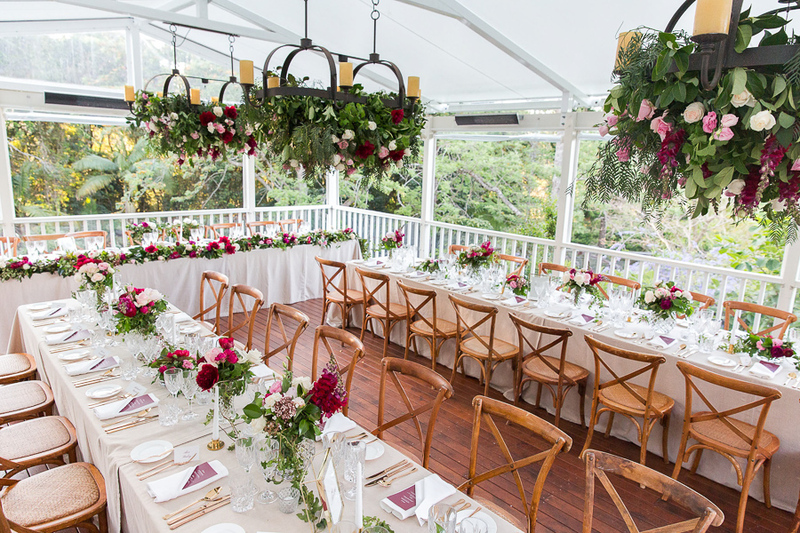 We dressed the overhead chandeliers with beautiful cascading foliage accents and gorgeous blooms, and they were certainly the feature of the library deck. 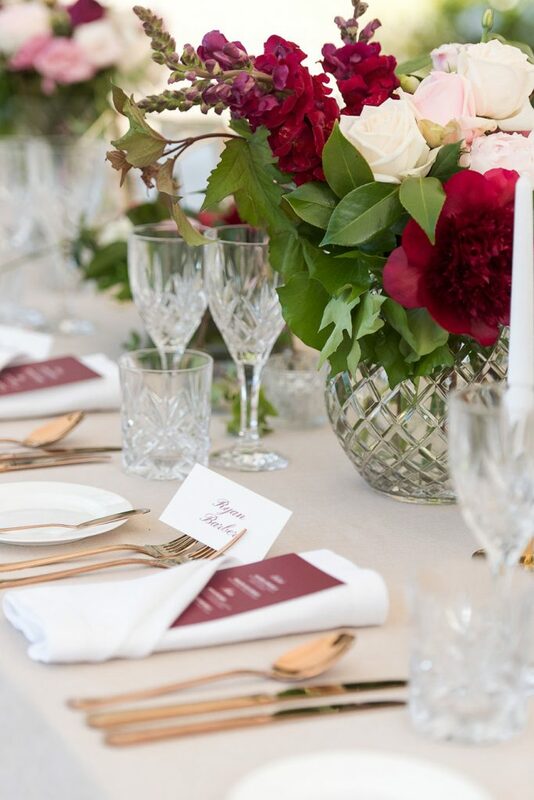 Kylee was a lover of all things crystal, so our stunning collection of crystal vases featured down the tables, filled beautifully with those gorgeous marsala, plum, burgundy and pink blooms. 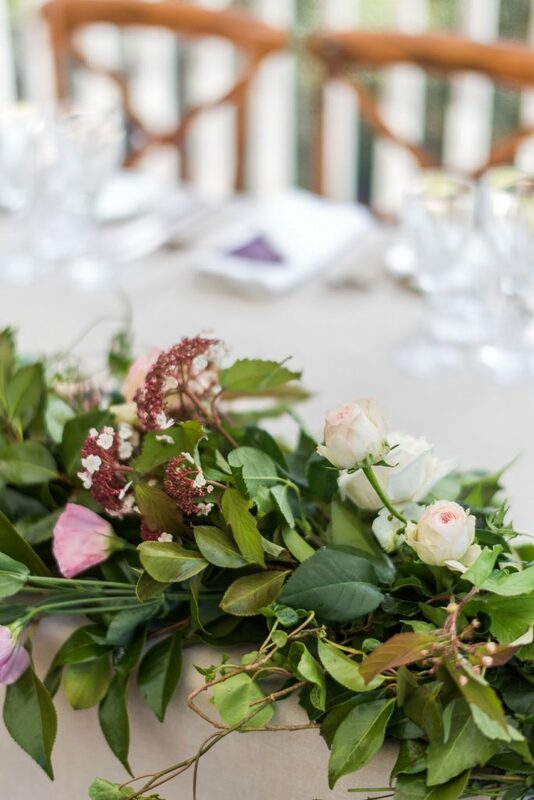 For the bridal table we wanted to do something a little different, and so we created a lush garland to line the front of the table where Kylee and James would be. 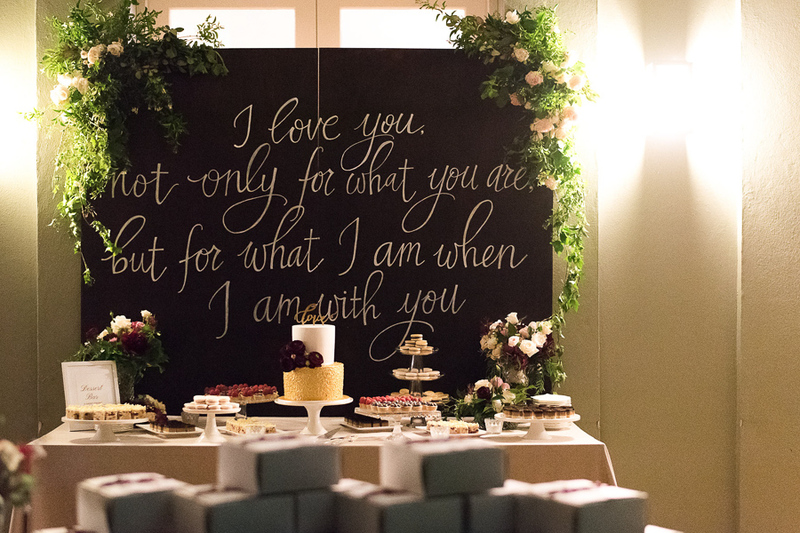 All of the pretty touches and extra details were high on the list for these two Lovebirds. 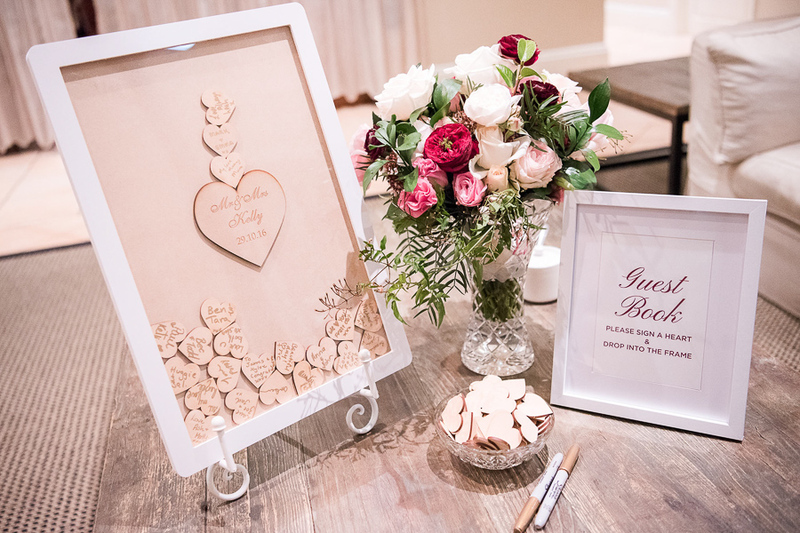 With dessert tables, entrance signs, guest book ideas and love quotes adorning the beautiful space. 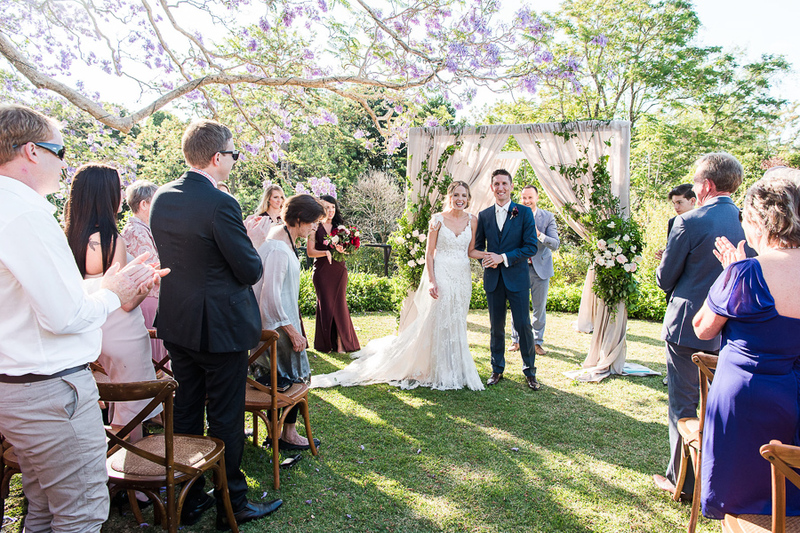 It was a spectacular day, and a dream to be a part of. 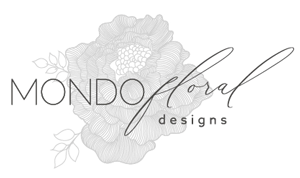 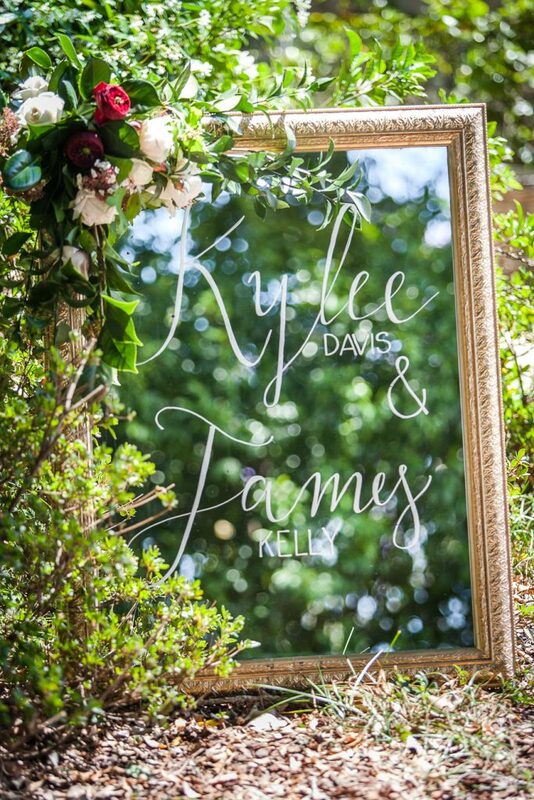 We adored working closely with Kylee and James to create their floral vision, they were wonderfully fun! 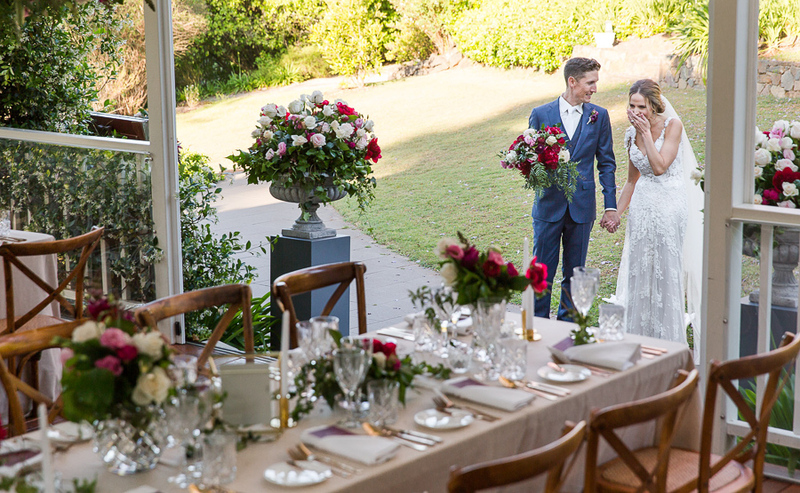 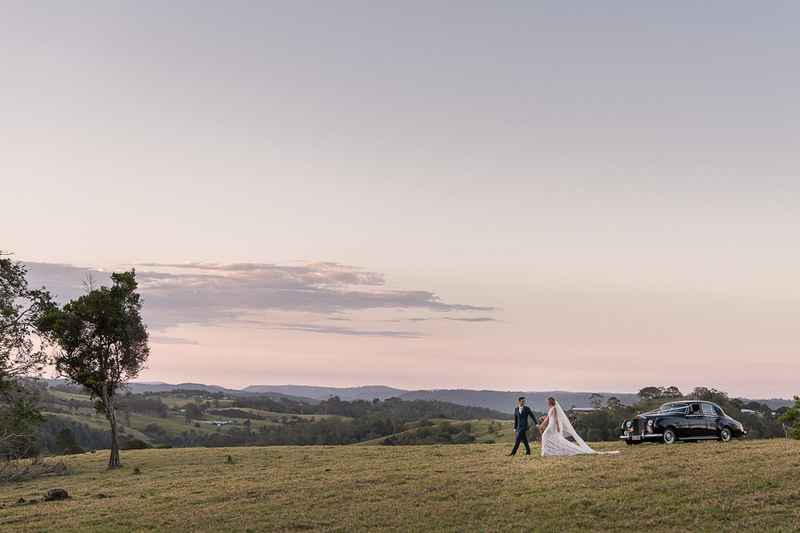 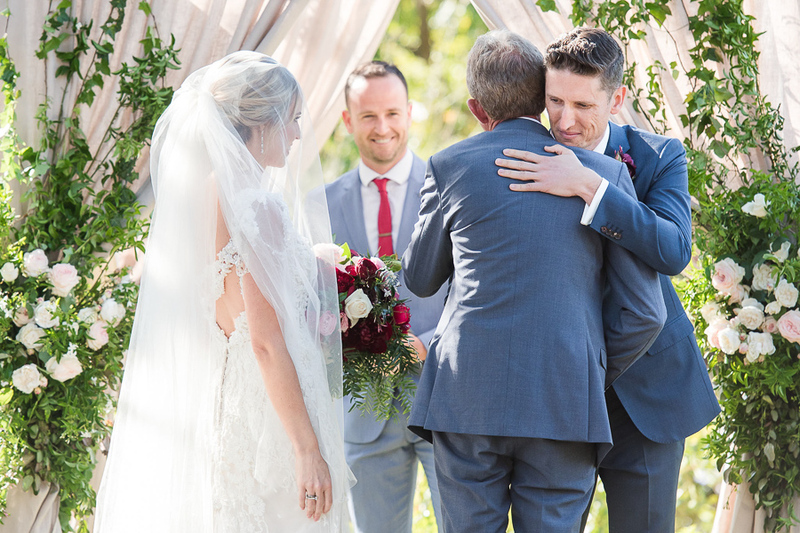 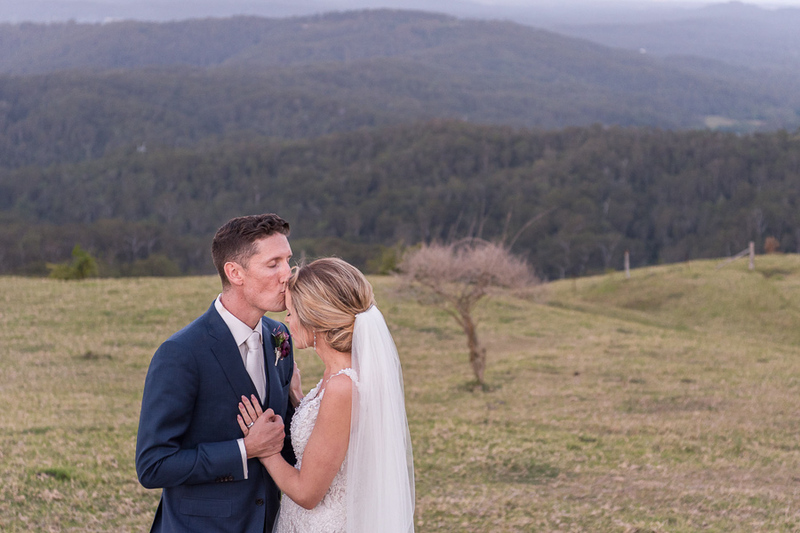 With a dream team of suppliers this was a special wedding, a flower lovers dream, we hope you enjoy these beautiful images, and this gorgeous love story.